Pakistani Cricketer Younis Khan has completed 10 thousand runs in Test cricket. He achieved this status during his 58-run innings in a Test match against the West Indies. He is the 13th batsman in the world to score 10 thousand runs in the history of Test cricket, while he is first Pakistan player who get enter in 10 thousand run club. After Younis, Pakistan's legendary cricketer Javed Miandad has 8832 runs and Inzamam-ul-Haq's 8830 runs. Younis has already announced that the Test series against the West Indies will be his last series of career. In February 2000, Younis, who performed Test Debut, played for Sri Lanka in the Rawalpindi Test for the first time. In the first innings of the match, he was bowled out for 12 but he scored 107 in the second innings. The most runs in Test cricket is Sachin Tendulkar's name. Sachin's scored 15921 runs in 200 Tests. Younis completed 10 thousand runs in Tests on Sachin's birthday itself. By the way, the first 10 thousand figure in the test was surpassed by Sunil Gavaskar of India. He also became the oldest player to score 10 thousand runs at the age of 39 years and 146 years. Prior to Yunus, West Indies' Shivnarine Chanderpaul completed 38 years and 37 days in Test cricket, 10 thousand runs. Not only this, Younus took 17 years and 56 days to accomplish this. Chandrapal took 18 years and 37 days. 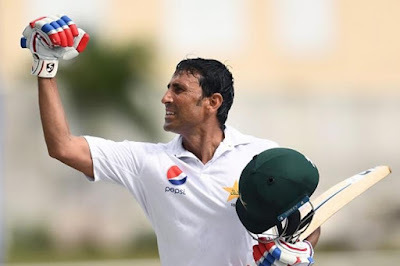 Due to lack of international cricket in Pakistan, Younis played most test on overseas grounds.Younis played 69 Test matches overseas in his 116 test-long career. 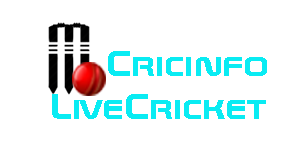 19 matches played on home ground and 28 matches on neutral venues. The most interesting thing is that in all these places Jonas's average is above 50. Younis has scored 1898 runs at an average of 59.31 in Pakistan while on the foreign ground he scored 5544 runs at an average of 50.40. Speaking of neutral ground, Yunus has scored 2593 runs at an average of 55.17. Well Younus is the only Test batsman in the world whose name is an average of more than 50 in every innings of the Test. Younis crossed the 10-thousand-run mark with the help of 34 centuries and 33 fifties in his Test career. During this period, he has also made a mark against the nine nations playing all the Test matches. Apart from the Test, Younis has also been performing well in ODIs. Younis has scored 7249 runs with 7 centuries and 48 half-centuries. 25 international T20 matches are also linked to Yunus's account.